For those of you that hang out on Twitter or in any of the Android forums, you probably saw a movement that started up within the last couple of days after both Asus and HTC came forward with bootloader unlocking solutions. It’s called “Operation: Make Ourselves Heard” or #OPMOSH and is directed at Motorola this time around. While almost every other Android manufacturer has decided to allow at least some sort of bootloader tool for the developer community that supports them to no end, Moto has continued to remain quiet and locked. And even though public outcries were successful with other companies, they have been unsuccessful over the last 2 years when it comes to Moto. With that said, why not start up another campaign now that almost everyone is onboard with the unlockable bootloader situation, other than them. Could there be a better time to make yourselves heard (again)? Probably not. July 2010: DROID X is released as the first from Motorola in the U.S. with a locked bootloader. Months of work is put in by developers to try and crack it, but they unfortunately come to the conclusion that it will never be unlocked unless Motorola does it themselves. January 2011: To find the next big point in this whole saga, you have to fast forward a few months to the beginning of this year where a Motorola representative at their Youtube channel essentially told anyone who wants a phone with an unlockable bootloader, to look elsewhere. That was quickly followed by an apology and a rather confusing note on their Facebook page. Motorola was apparently ready to “partner” with developers in hopes of developing a bootloader solution. Nothing ever came of this. February 2011: The Motorola XOOM is released as a developer device with an unlockable bootloader. April 2011: Motorola comes forth with another statement, this time offering up a time frame for unlocking. In “late 2011,” Moto will look to include unlockable/relockable bootloaders on their devices “where carriers will allow it.” Ahh yes, that carrier part is the key here, which we will get into in just a few. On a related note, it’s 2012, and not one of their phones or tablets has been given an unlockable bootloader, on any carrier. June 2011: Motorola speaks with the owner of a site called AusDroid about this whole bootloader situation. AusDroid comes away feeling that Motorola will keep their word and actually quoted them as saying that phones “scheduled to receive updates in the second half of this year” will see an unlockable bootloader. Again, no phone received any sort of update. June 2011 (again): Someone in the developer community is able to pull a ROM for the Motorola Atrix that unlocks the bootloader. This was not intended to be released to the public, but it spreads like wildfire and almost anyone with the device, now has an unlockable phone. This is essentially the first unlocked Motorola phone in more than a year. The majority of the Motorola community seems to believe that this ROM would eventually become a public release by Moto, we remained skeptical. It never happened, but the damage was done. In the same month, Motorola released the Photon on Sprint with a locked bootloader. To my knowledge, the same ROM that unlocked the Atrix was used to eventually unlock this phone. Again, this is not official from Moto. July 2011: We ask readers if bootloaders are still important. Almost 70% say they will not buy a phone if it does not have an unlockable bootloader. The DROID 3 is released with a locked bootloader. September 2011: The DROID Bionic is released with a locked bootloader. October 2011: We bring up the fact that “late 2011” is approaching and have still not heard a peep out of Motorola. We publicly ask Motorola for feedback, but of course, hear nothing. 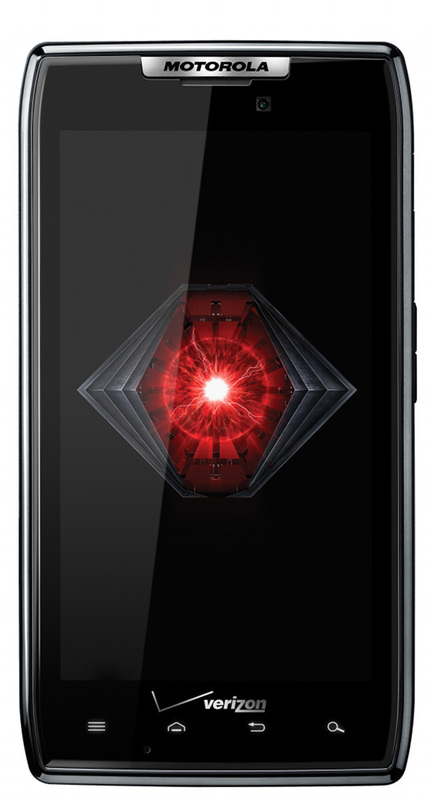 The DROID RAZR is released later in the month – Moto confirms that it has a locked bootloader. They place all of the blame on the carrier, Verizon. December 2011: HTC announces that all phones released after September 2011 will have unlockable bootloaders using their tool. They include all of their HTC devices that are on Verizon from the last year. So much for Motorola’s insistence on locking being up to the carrier? Verizon also releases the Galaxy Nexus, which has a fully unlockable bootloader. January 2012: After the Asus Transformer Prime has been in the hands of customers for a couple of weeks, they realize that the bootloader is locked. A social media storm takes place and Asus caves, announcing that it will release an unlocking tool in the near future. Today: Here we stand almost a year after Motorola announced that it would have some sort of bootloader unlocking solution and we have nothing. Not only that, but we have not heard a peep from them on this subject in months. The developer community has had it after watching company after company come forth with solutions. And that’s where this week’s #OPMOSH campaign comes into play. To join in on the #OPMOSH campaign, you can visit this XDA thread. They have petitions, corporate Moto employee emails, Twitter accounts and more for you to hit up if you feel strongly about bootloaders on Motorola phones.